Japan is equally as well known for its ecologically-sensitive traditional homes as it is for cutting-edge technology. 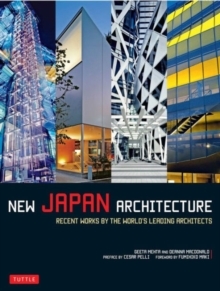 This book brings you 19 contemporary Japanese houses which epitomize the state of sustainable architecture in Japan. With over 250 high-definition colour photos, drawings, and floor plans, alongside lively, informative text, this Japanese design book offers a picture of green living in contemporary Japan and provides inspiration and practical ideas for those creating homes in North America and beyond. Each project presents different aspects of Japan's current movement toward a more environmentally friendly living environment, as well as its world-renowned emphasis on fine craftsmanship and cutting-edge technology. 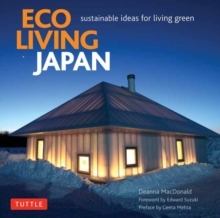 Eco Living Japan is informative and enjoyable for both professional architects and designers and forward-thinking homeowners. Anyone with an interest in Japanese design or new concepts in sustainable living will find fresh ideas for their own home projects. 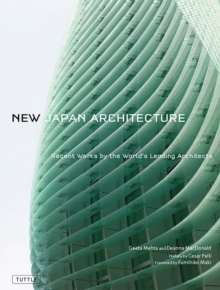 Thanks to a highly insightful text from Deanna Macdonald, a leading expert on Japanese architecture, this book offers a comprehensive look at the Japanese take on green architecture. It provides new inspiration and ideas for architects and homeowners around the world who wish to create an ecologically-minded home. These homes work in harmony with the environment and with the people who inhabit them representing green design at its finest.